I bought this polish called ‘Don’t desert me’ from China Glaze last fall, but I haven’t worn it until now. I wonder why, because it is truly gorgeous. I haven’t been able to keep my eyes off my nails today, and that is a pretty good grade. The formula of the polish isn’t that good, it’s pretty thin and runny. But it still covers good with just two coats. And with a polish this pretty the formula doesn’t really matter. 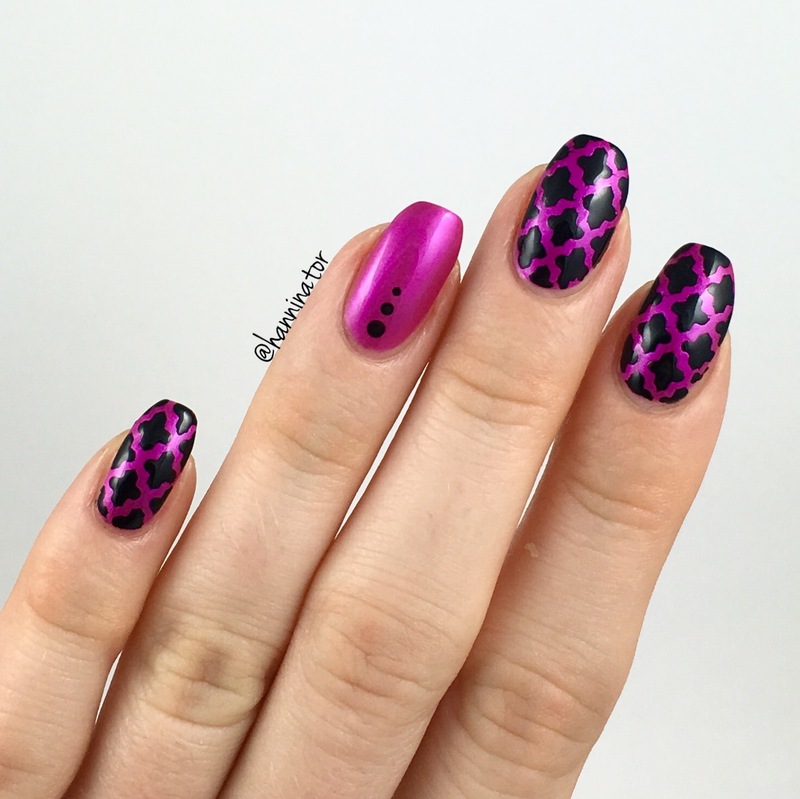 I just couldn’t make myself remove the polish after just one day (which I normally do), so I evolved the manicure with ‘Liquid leather’, moroccan stencils from Snail vinyls and dots. 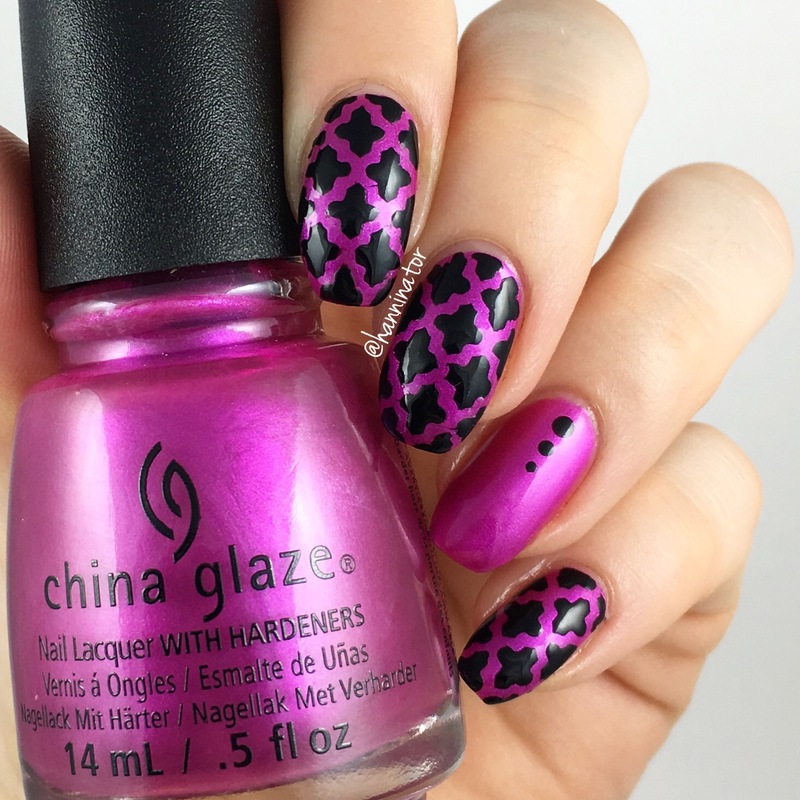 I just love these nails and how simple it is to change a manicure with the help of stencils (and how pretty the result turns out)!